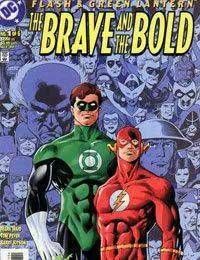 Barry Allen travels to Coast City for the first time to spend a weekend with his new JLA teammate Hal Jordan. But rest and relaxation will have to wait as an alien threat emerges!<br />Forensic scientist Barry Allen and test pilot Hal Jordan - aka the Fastest Man Alive and the Green Lantern of Earth - decide to spend a guys weekend together, as pals. Unfortunately, mysterious and murderous shadows have other plans!